Home / KINGDOM NEWS / NEWS / DON’T STAND IN SILENCE IT IS TIME TO SPEAK OUT. DON’T STAND IN SILENCE IT IS TIME TO SPEAK OUT. The latest edition of Martyrs CRY! is out and can be downloaded free on #XoneBlog. 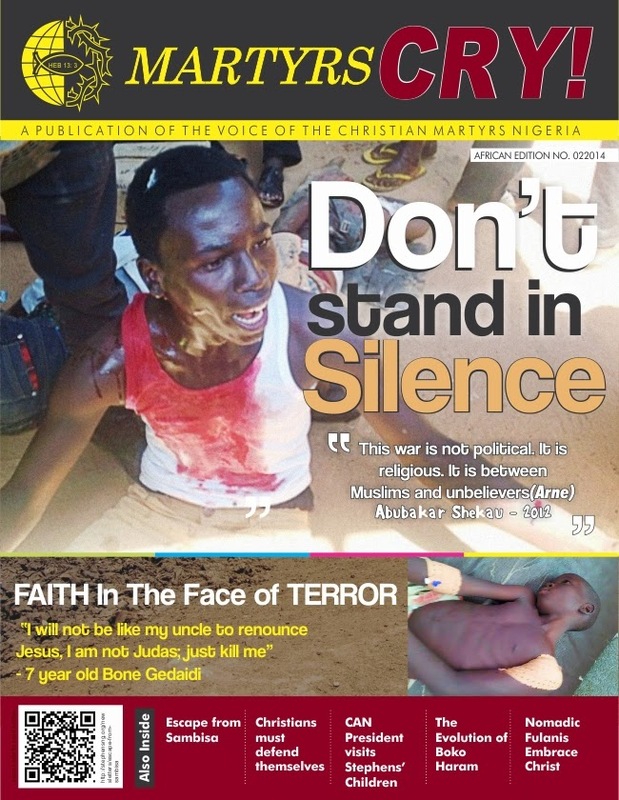 The Magazine is produced by the Voice of Christian Martyrs and it details the attacks of Muslim Jihadists on Christians in northern Nigeria as well as in other parts of the world.